and drunken behaviour in public places, urinating and carrying offensive weapons in public places were a no-no. The fathers and mothers of this era were raised and taught by the colonial administrators on how to behave, how to dress and the way to conduct oneself in public places. They were neatly attired and well groomed. Christianity throughout the land was an agent of change pushed through by the main stream churches –Catholic, Anglican, Seventh Day Adventist, United and Lutheran. They strengthened the morals of good behaviour through the teachings of Christianity, further setting and emphasising the virtues of good social behaviour. Just look back to the past and see photographs of the 70s and 80s – the next wave of Papua New Guinean leaders who grew up from under the wings of these founding men and women leaders learned a lot from. Sadly, these men and women were only are very small percentage of the total population. 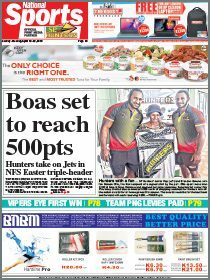 Today, the next wave Papua New Guineans are not going through the process that their parents experienced, especially the teaching of good morals and principles. also responded by keeping up with the rapid development changes and trends of the 1990s and new millennium. However, the government schools were not able to fully teach the new generation of Papua New Guineans what their parents were taught in the colonial era and the early years after independence. It seems as though we have forgotten about quality education and are putting more emphais on quantity in an attempt to get as many people as literate as possible. And it seems we have left out an important component – teaching the new generation how to behave and conduct themselves. Today, we see regular school fights, violence and general lawlessness among the new generation. It seems we have gone back to our pre-historic behaviour as savages and head-hunters, execution of sorcery agent, taking land by war, stealing women and the list goes on. So how did we get out from these ways? The main stream churches that still remain in PNG after over 100 years had a lot to do with changing our behaviour attitude. bulk of the population who still has not gone through this? Did we rush that bulk of our country men and women from their old ways of doing things to the new modern age too quickly? It would be good, to let our emotions calm down amid the public outburst to implement death penalty and other tougher laws on people who commit these serious crimes. 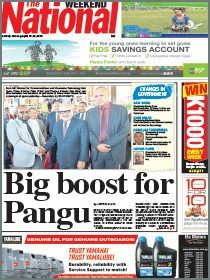 Will it deter and control the new generation Papua New Guineans growing up today? This country needs to seriously look at restoring the good moral behaviour back into the education system, from primary to secondary schools and even tertiary institutions. And a good way to make this a reality is to give it back to the mainstream churches who know how best to do it and have done that to the older generation of citizens who have brought us to where we are today. Certainly, we can bring back the old ways through the main stream churches. The government of the day needs to admit that making tougher laws will not solve the social behavioural problems of this country. Let the churches once again become the main drivers of social behavioural changes for the new generations of Papua New Guinea. Let them teach the new generations the right way to behave, the right way to dress and to respect each other. The government should stand back and support these churches by giving them budgetary assistance and let them provide the kind of educational development that our children need to make their country a better place to live and work.